The game is played on modular map where new areas are added and merged as your civilization grows and expands. Each turn you engage one tribe only. 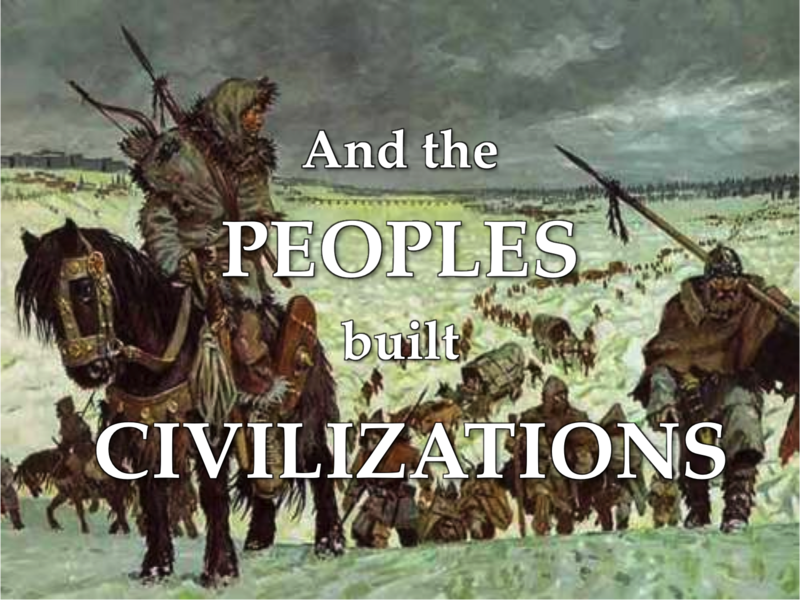 A tribe may either produce resources in its area or spend civilization points to take one of six civilization actions. Certain development cards improve certain actions. Civics lets you build settlements or activate all tribes in a settlement in a turn. Culture lets you place culture tokens, which give discounts on civilization points. Economy lets you exchange resources with adjacent peoples to collect more valuable sets. Military lets you attack adjacent peoples to plunder their resources. Religion lets you place religion tokens, which give discounts on development cards. Science lets your tribes take actions in areas further away from their own areas. When all tribes are engaged (but not before! ), you must disengage them with a Revolution action. 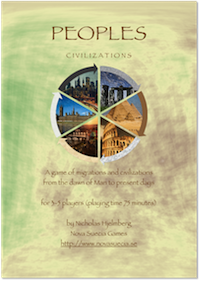 This is also the action where you grow your population and acquire civilization points and development cards. This also serves as a catch-up mechanic, since larger civilizations gets more productive actions but have to wait longer for the next Revolution action. There are six victory conditions linked to the six civilization traits. Culture victory is won by placing all your culture tokens, Economic victory by collecting one of each resource, Military victory by placing all your tribes etc.